Please note this certificate is still available on NICEIC Online Certification until 30th June 2019. 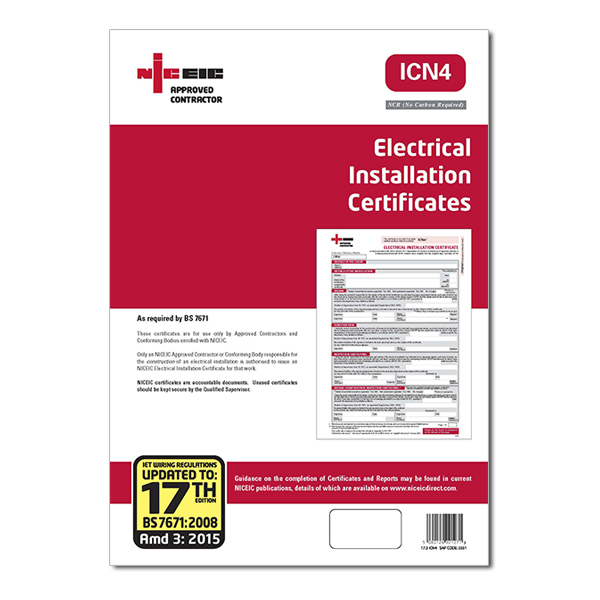 Electrical Installation Certificates - ICN4. For smaller domestic properties a 17DCN.1 is normally used.